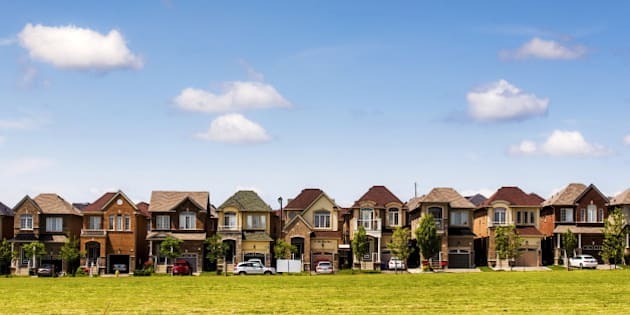 Tight supply and strong demand will dominate the GTA market this year, resulting in double-digit home price growth, according to the Toronto Real Estate Board. While this forecast may be good news for existing homeowners, it might be the last thing prospective homebuyers in Toronto want to hear. Tight supply and strong demand will dominate the GTA market this year, resulting in double-digit home price growth, according to the Toronto Real Estate Board (TREB). While this forecast may be good news for existing homeowners, it might be the last thing prospective homebuyers in Toronto want to hear. "We have a shortage of housing supply in the GTA that is approaching crisis levels," says Bryan Tuckey, president of the Building Industry and Land Development Association (BILD), who was among the experts in the housing sector who spoke at TREB's annual Market Year in Review, Outlook & Economic Summit this week. "It's time for governments to acknowledge the problem and take the necessary steps to address it." The "problem," as Tuckey and other leaders in the industry see it, is provincial government land use policy which restricts housing supply. Such policy, echoes Paul Smetanin, president and CEO, Canadian Centre for Economic Analysis, results in "almost one-third of the population in Ontario is under "extreme housing affordability pressure." "Lack of developable land that is serviced with critical infrastructure, excessive red tape, out of date zoning and NIMBYism are the key hindrances limiting our ability to build more housing," Tuckey says. The dearth of supply of new lowrise homes, in particular, means everything that is built is snapped up in a hurry. The same dynamic then plays out in the resale market, where declining listings mean intense competition for homes for sale, which then leads to steep price increases. According to TREB's Market Year in Review & Outlook Report, the growth rate for the average selling price in the GTA will be between 10 and 16 per cent, with an average price range between $800,000 and $850,000. Lowrise home types, including detached and semi-detached houses and townhouses, will experience the strongest price growth, but the condominium apartment market segment will remain tight as well. "While changes to federal mortgage lending guidelines and higher borrowing costs may impact some would-be home buyers, the big impediment will be the lack of inventory," says Jason Mercer, TREB's director of market analysis. "Active listings at the end of December were at their lowest point since before the year 2000. It is unlikely that the shortage of listings will improve to any great degree over the course of the next year. This will put a ceiling on sales growth." TREB is forecasting another strong year in 2017, with more than 100,000 sales forecast for the third consecutive year. Between 104,500 and 115,500 home sales are expected this year, with a point forecast of 110,000 -- down slightly from 113,133 sales in 2016. Despite the ominous landscape, a homebuyers survey conducted by Ipsos in November 2016 on behalf of TREB, indicates that GTA households are still upbeat about their homeownership prospects this year. This included first-time buyers, whose share of overall buying intentions increased to 53 per cent from 49 per cent a year earlier. Compared to a similar survey conducted at the end of 2015, the number of likely buyers was down slightly. The Ipsos survey confirmed that likely homebuyers are expecting to see strong home price increases in 2017. However, the average buyer is planning to make a substantial down payment -- 27.6 per cent for all recent homebuyers combined and 23.9 per cent for first-time buyers. Given the array of challenges facing the market, TREB cautions that government policy changes should be weighed carefully against unintended consequences. "Housing affordability, and affordable homeownership in particular, is a growing concern," says TREB CEO John DiMichele. "Home prices will increase well above the rate of inflation and income growth in 2017, as the supply of listings remains very constrained. While governments have been focusing their policy solutions on allaying demand, what is needed are policies that focus on the lack of available homes for sale and for rent. The public, private, and not-for-profit sectors need to come together to focus on innovative solutions to the housing supply issue." For example, a foreign buyer tax in the GTA, similar to the one introduce in Vancouver last year, would be misguided, the association says. To obtain empirical data on foreign buying activity in the GTA, TREB commissioned Ipsos in November 2016 to survey its members who acted on behalf of homebuyers during the preceding 12 months, as to foreign buying activity in the region. Only an estimated 4.9 per cent of GTA transactions involved a foreign purchaser. The majority (40 per cent) of foreign buyers purchased a home as a primary residence, to rent out to tenants in a tight GTA rental market (25 per cent) or for another family member to live in (15 per cent). Less than two per cent of realtors had been involved in a transaction for a foreign buyer which they knew was impacted by the foreign buyer tax in British Columbia. Sean Speer, Munk Senior Fellow for Fiscal Policy at Macdonald-Laurier Institute, a national public policy think tank based in Ottawa, says worrying about the level of foreign investment in the GTA has "caused us to take our eye off the ball" regarding the real affordability issue and its causes. TREB also cautions against the proposed additional land transfer tax on foreign buyers. Tighter market conditions and stronger price growth in neighboring communities/regions without a tax. A potential negative impact on immigration, and population growth in the GTA, on net, is driven by immigration.